About Joško B. Message Joško B. 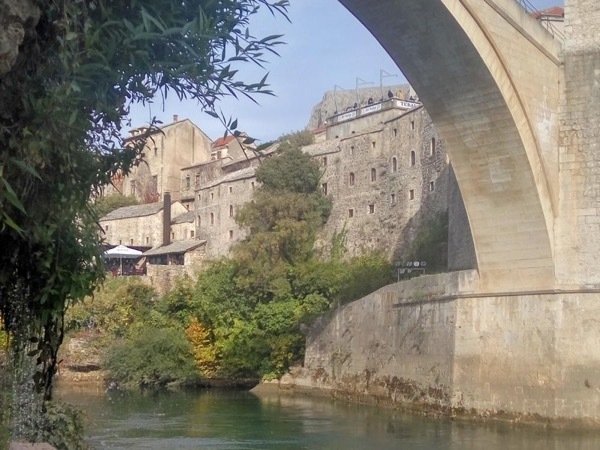 A day to explore Mostar and the beautiful nature around! TOUR GUIDE RESPONSE: Dear Matt, Thank you so much for nice words. I really enjoyed going to the Mountains of Montenegro after a while. See you next time in Croatia :) Josko B.
Josko is a great tour guide. He knows this area very well and is knowledgeable about this tour. I especially liked his easy going nature, you can shape the tour to what you want to see and do. If you want to see the highlights of Montenegro and don't have a lot of time I highly recommend this tour. Josko will take you to interesting places and you will get a small taste of this beautiful country. TOUR GUIDE RESPONSE: Thank you so much for kind words, it was a pleasure taking you to our neighboring country to see all the highlights, specialy the cats museum in Kotor:) See you next time in Croatia! Josko's friendly, welcoming personality and energy radiated from the moment that he greeted my travel companions and me. He showed up to pick us up on time. Josko is very intelligent and knowledgeable in regards to history and the places that we had visited. The tour required a lot of driving - he made sure that we felt comfortable throughout the day. He was very attentive to our needs and requests. In regards to the tour itself - highly recommend. Perfect itinerary. TOUR GUIDE RESPONSE: Thank you so much for such nice review. I hope that we made some nice memories that day... Maybee some new invention for making the tea :) See you next time in Dubrovnik ! We very much enjoyed our tour of Montenegro thanks to Josko's planning and expertise in guiding us through all the top sights of this very beautiful country! Josko has been guiding tours around this area for years and as a result is extremely knowledgeable about a lot in the region. The tour was fantastic and I was very satisfied how it turned out especially Blagaj that place is unreal. he showed us places we would have just unknowingly drove by if we did it ourselves. I wish I did this tour sooner in my stay in Dubrovnik as he also told us about a lot of other cool places to see in the region that you wont hear about on the web. Book with confidence! I extremely enjoyed this tour. Joško is very knowledgeable about the history, culture, geography, and food of the area. I enjoyed listening to his stories too. He gave me all the tips I needed to explore new places and feel comfortable in and around Dubrovnik's old town. He also added a drive to the panoramic view of the old town and an excursion to Çavtat for a more relaxing time at the end of the tour. I highly recommend this tour and Joško as a tour guide. TOUR GUIDE RESPONSE: It was a real pleasure meeting you. I am so glad that you liked the tour. Thank you so much for everything. Hope to see you back in Dubrovnik next year. Great tour. Educated and interesting guide. Very experienced and always concerned about my expectations. Great sense of humor. An amazing adventure! The tour was unexpectedly a logistical challenge to set up, but Josko pulled it off with charm and grace. We met at the Pile Gate in Dubrovnik, and spent the next 12 hours visiting amazing sites in Croatia and Bosnia and Herzegovina. Josko is very knowledgeable about the history of the area, and I enjoyed hearing about the various sites we saw and getting to know him better throughout the day. I felt like I really got the inside scoop! I recommend Josko (and this tour) most highly. TOUR GUIDE RESPONSE: I am very glad that you enjoyed the tour, Bosnia is really beautiful country. Thank you for your kind words. It was nice to meet you, it was really an amazing day. Greetings from Croatia- small country for a great vacation :) Josko B.